CHICAGO, Illinois, August 27, 2009 (ENS) – The federal government and the State of Illinois today filed a civil lawsuit against Midwest Generation LLC, a unit of Edison International, alleging that the company violated, and continues to violate, the Clean Air Act. The complaint alleges that Midwest Generation made major modifications to increase the power output from its coal-fired power plants in Illinois without also installing and operating required modern pollution control equipment. As a result, Midwest Generation’s six Illinois power plants, which have a combined capacity of more than 6,000 megawatts, are illegally emitting massive amounts of sulfur dioxide, nitrogen oxide and particulate matter. The complaint also alleges that emissions from Midwest Generation violated opacity and particulate matter limits. 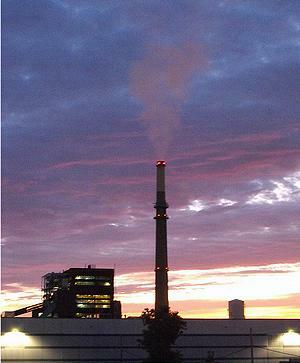 The lawsuit, filed by the U.S. Justice Department on behalf of the U.S. Environmental Protection Agency and the state of Illinois Attorney General’s Office, asks the court to order Midwest Generation to install and operate state-of-the-art air pollution control technology to substantially reduce emissions from the Midwest Generation power plants. Headquartered in Chicago, Midwest Generation sells wholesale electricity to markets in the Midwest. The independent power producer owns coal-burning power plants in Chicago, Waukegan, Joliet, Romeoville and Pekin, Illinois. The United States and the state of Illinois also seek civil penalties up to the maximum amount authorized by law, as well as actions by Midwest Generation to mitigate the adverse public health and environmental effects caused by the violations. “The excess illegal emissions resulting from the violations alleged in the complaint are sufficient to cause serious harm to human health and the environment,” said John Cruden, acting assistant attorney general for the Justice Department’s Environment and Natural Resources Division. He said today’s federal court filing is the first step in this litigation and it demonstrates the government’s commitment to ensuring compliance with environmental laws in the energy sector. Midwest Generation spokesman Douglas McFarlan said the company reached a major agreement with the State of Illinois in 2006 that required it to operate under some of the strictest coal-plant regulations in the country. Some of the power-plant modifications mentioned in the case were installed before Midwest Generation bought the facilities in 1999. “We have a progressive record of environmental performance and leadership that we will be prepared to vigorously present and defend,” McFarlan said. On July 28, a coalition of five Illinois health and environmental groups handed Midwest Generation a 60 day notice of their intent to sue the company because its coal plants release illegally high amounts of particulate matter that leads to respiratory illnesses and premature deaths in nearby communities. All the six plants are located in working class and minority neighborhoods. Now, in view of the federal litigation filed today, the coalition could either seek to intervene and participate in the federal case or could file its own lawsuit and have it consolidated with the federal action, says attorney James Gignac, Midwest director of Sierra Club’s Beyond Coal campaign. The threatened legal action is part of a campaign by Citizens Against Ruining the Environment, The Environmental Law and Policy Center, Natural Resources Defense Council, The Respiratory Health Association of Metropolitan Chicago and the Sierra Club to eliminate air pollution in the region.